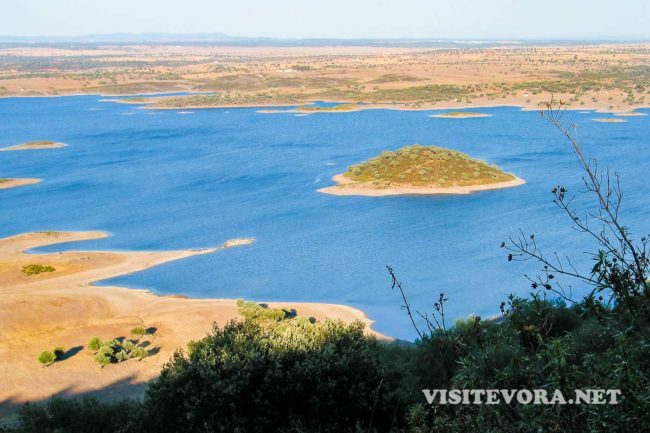 Alqueva Lake and its numerous islands and peninsulas - Alentejo, Portugal. Alqueva dam, the largest artificial lake in Europe, a vast mass of water reaching as far as the eye can see, surrounded by an enviable natural landscape. Small islets, small pieces of land that become a dream in something bigger. People in Portugal, specially in the south, are truly proud of Alqueva’s tranquility, colour and, most of all, its beauty and life. “Alqueva” is a word derived from “alqueive”, “fallow lands” or “deserted”, of dry soils eager for water. Well, now, there seems to be plenty of it. The dam is located on Guadiana River, one of the longest in the Iberian Peninsula, in Alentejo Portugal. It is actually near a small village with the name… Alqueva. You can navigate the Guadiana from here until Mertola, another very interesting Alentejo village around 68 km away (42 mi). The objectives of the construction of Alqueva Dam had to do with electrical power but mainly to provide for a water source to create an irrigation system to the whole Alentejo region. This would be a way to develop agriculture and also face the problem of land abandonment. But other activities, equally attractive, were considered and give even more life to the already existing life. All this motion of ideas was precious to the creation of jobs, many of them in the tourism industry. 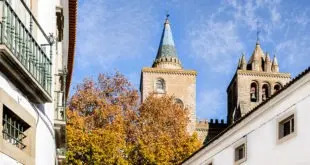 Are you curious about what to do in Alqueva? Come along! After all, we have activities for every taste and personality. 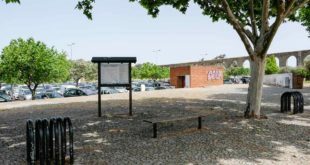 Everything there is to do in Alqueva is related with the surrounding space. 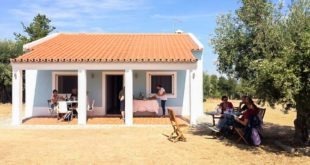 For those who like to experience strong emotions and come to Alentejo to demystify the idea that the region is all about quietness, here are some suggestions. All these activities in Alqueva Lake have something in common. The contact with Mother Nature. With the fauna and flora of an immense exceptional place. Alqueva Dam is also known as “Inner Sea” because of its dimension and the infinite possibilities available for water fun. It is important that you known that in Alqueva Lake there are 8 floating berths. Two of them close to the dam itself and six near the small villages on the shores, which also support navigation. On this webpage, we will get to know some of these docks. In the whole world, it will be difficult to find a better place to rest than the land on Alqueva Dam shores… or on the lake itself. In the several beaches, you can enjoy the water to actively amuse yourself but also to relax on a chair, a towel or with your feet immersed in the cooling water. 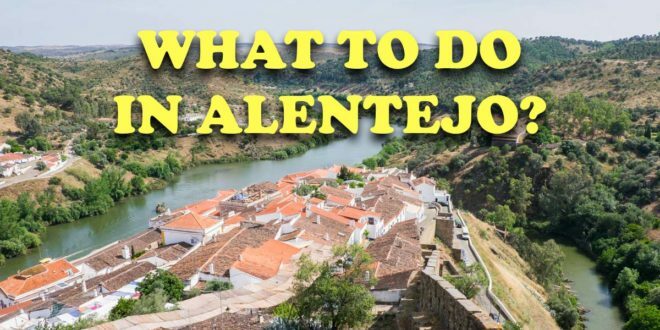 After all, some of the best things to do in Alentejo. And how about a nice walk at the end of the day through plains and small hills covered with flowers that welcome you waving with the gentle breeze? Remember the boat houses mentioned above? You can use them as a base for fishing big. 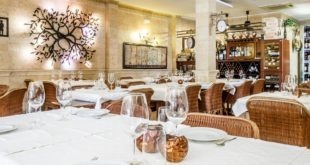 However, they are also the ideal place to feel the pulse of the heart of Alqueva. Slowly and casually, while you navigate to find landscapes that can be yours alone. 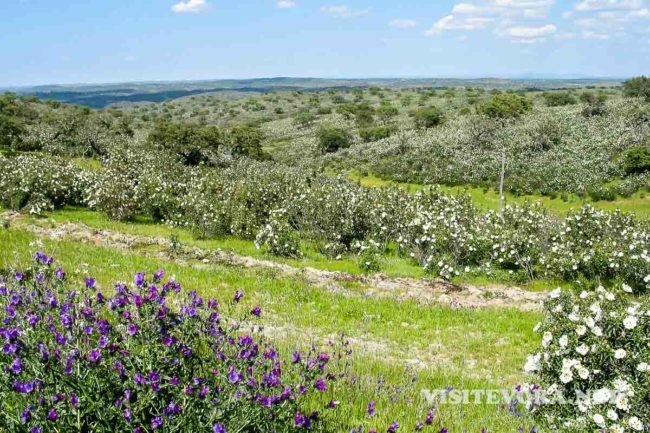 Visit Alqueva to discover these landscapes – lake, flower fields, castles. 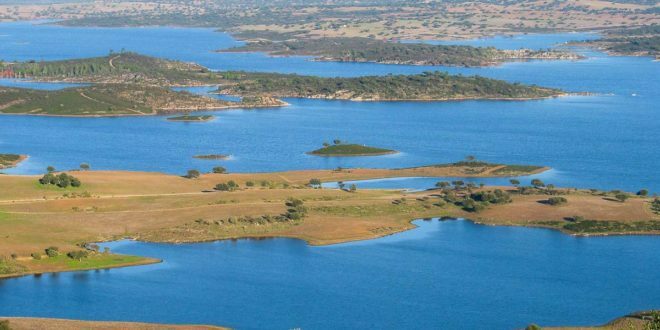 The lake covers 5 Alentejo municipalities – Portel, Moura, Reguengos de Monsaraz, Mourão and Alandroal – and also some Spanish ones across the water border (Olivença, Cheles, Alconchel and Villanueva del Fresno). 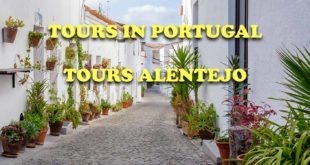 On those five Portuguese municipalities there are different villages blessed by the beauty of Alqueva. Get to know a few of these places, the most charming. Touched by Alqueva Dam, the village is located on the left bank of Guadiana River. The region has great natural beauty, complemented by the one from its most distinctive places: Mourão Castle, Igreja Matriz de Nossa Senhora das Candeias (church), Igreja da Santa Casa da Misericórdia (church), Igreja de São Francisco (church), the public garden and the picnic area. The outdoor sites are outstanding to breathe in the fresh air. With the construction of the dam (2002), a big part of the territory belonging to Aldeia da Luz (Light Village) was submerged by the force of the reservoir waters. The small village faded away. From the beginning, it raised attention and became iconic for being the one which suffered the most consequences with the building of the dam. Now, at around 3 km (1.9 mi) from the old village, a new Aldeia da Luz shines in the middle of the Alentejo landscape. The same people who lived there were relocated into new homes. 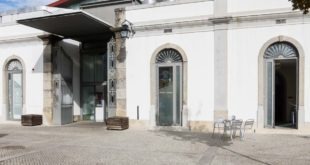 In the new village they also built a museum: Museu da Luz. It preserves all the remains of the past, from the old Aldeia da Luz and the region, so that memories don’t get lost. 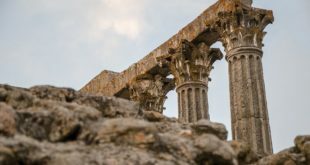 Apart from it, the Castelo Romano da Lousa (Lousa Roman Castle), a National Monument of Portugal, is also interesting to see. The fields and sky of Alentejo… By the large Alqueva Lake, of course! 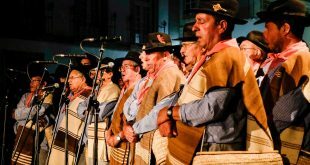 Leaving the past behind, which is also the present, a new life exists in Aldeia da Luz brought by the village festivals and events. These festivals, in honour of Nossa Senhora da Luz (Our Lady of Light), happen in September. They also bring along other moments of pleasure and leisure like the night “garraiada”, the procession from Sanctuary of Nossa Senhora da Luz to Igreja do Sagrado Coração de Jesus (Most Sacred Heart of Jesus Church), the bullfight and other popular shows. 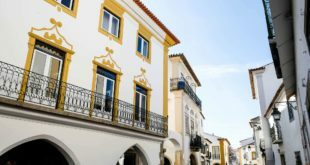 This city in Alentejo is next to the municipalities of Mourão, Évora, Alandroal, Redondo and Portel. 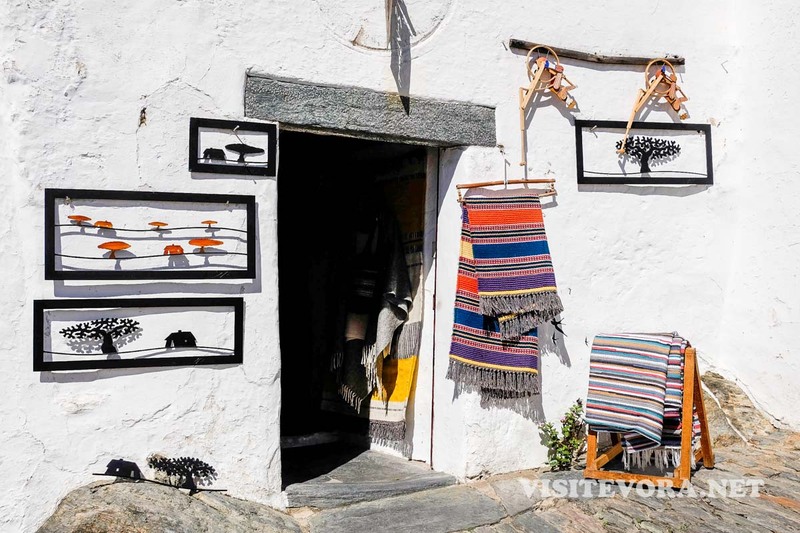 Apart from the beauty, which is familiar to many, Reguengos is also known for having some of the best representations of Alentejo handicraft. 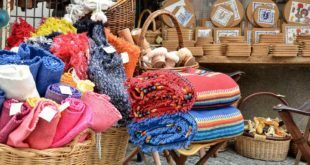 Examples of that are the pottery in São Pedro do Corval (biggest pottery centre in Portugal) and the famous Reguengos blankets. Not only pottery and blankets make Reguengos a very interesting city for tourists. The Megalithic monuments, the interpretation of the famous Alentejo wines and the proximity with lake Alqueva are also extremely important. These details will leave a mark in your memory. But so will the the Igreja Matriz de Santo António (church), Herdade do Esporão (wine producer estate), Parque da Cidade (City Park) and the centre of the city. The history of Reguengos can not be separated from the medieval village of Monsaraz. 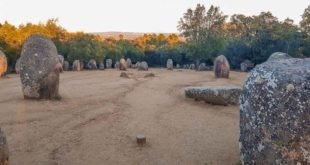 This is one of the most wonderful Alentejo villages, where you can find Megalithic remains of great historic and cultural interest. Although small, this is a rich village, a true “open air museum”. 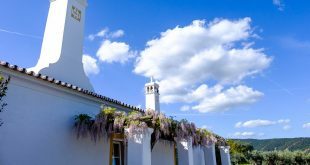 Located on top of a hill with a superb view (some say the best) over the immense Alentejo plains and lake Alqueva, the village fortress is protected by its walls. It looks like it has stopped in time, with its white lime walls, schist narrow streets, and gorgeous little nooks. Monsaraz Castle from Alqueva Lake. Monsaraz Castle is king on top of the hill, from where you can take amazing photos of Alqueva lake, inviting you to go down to its shores. Inside the walls, several monuments of touristic interest rise. Among them, you will find the following churches: Igreja Matriz de Nossa Senhora da Lagoa, Igreja da Misericórdia de Monsaraz and Igreja de Santiago. The cultural wealth of Monsaraz, like stated before, is also present in its exceptional Megalithic heritage. 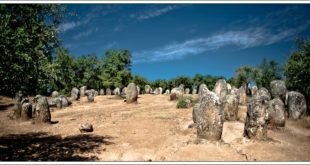 Visiting Xerez Cromlech, Outeiro Dolmen, Bulhoa Dolmen and the Megalithic set of Olival da Pega is essential. Especially for people in love with prehistory who have already followed the Megalithic Circuit in Evora. There is no lack of lovely spots in Monsaraz or activities for those who wish to learn a bit more about the culture around them. Apart from wanting to rest, of course. More active and bold people can find water activities at the Centro Náutico de Monsaraz (Monsaraz Nautical Centre), like water skiing, canoeing, boat rides and, for the youngest, inflatables on the water. Throughout the year, you will also find cultural exhibitions of diverse art forms. The promotors hold some of them in Igreja de Santiago (church), where there are series of permanent exhibitions. 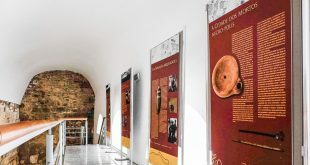 During July (every two years), you can join the greatest cultural event, called “Monsaraz Museu Aberto” (Monsaraz Open Museum). A good reason to come to Alentejo in the Summer. Camping is a small village on the shores of Alqueva Lake. Close by, there is an airfield and a dock where several aeronautical and nautical activities take place. 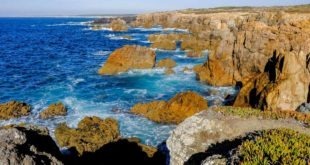 For nature lovers, Campinho is a great location to hike. Take the opportunity to have a picnic on the assigned area close to the waters. After your meal, visit Igreja Matriz do Sagrado Coração de Jesus (church). A very small but nice village in Reguengos de Monsaraz municipality, located between the banks of Degebe River and Amieira village, on the opposite bank. You will definitely find tranquility here. This one is on a small peninsula in Moura municipality, formed after the dam waters rose. Its location is privileged. That is why a berth was created, where boats dock after navigating the vastness of Alqueva Lake. The entrance to the village is on the same road that takes you away from it. 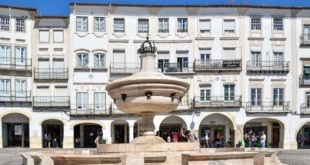 When you get there, Praça da Estrela (Star Square) greets you. Then, you continue through Largo da Igreja (Church Square) and finally Praça dos Ofícios (Trades Square). You can stroll around, have a snack on the picnic area and go for a swim. You can also visit Igreja Matriz de Nossa Senhora da Estrela (church) and contemplate Alqueva Lake, as far as the eye can see. Amieira is another one of the shore villages in Lake Alqueva, located between Amieira Creek and Degree River. This was once an extremely peaceful place. Today, it is a bit agitated by the movement of people and boats nearby. The incredible colours on Alqueva Dam. Close to the village, on a small peninsula, you will find the well-known Amieira Marina. This is the largest nautical infrastructure in Alqueva and one of the main tourist sites in the lake. Most of the boats which navigate these waters depart from its berth. In Marina de Amieira you can rent boats of various prices and capacities: Small Cruises, Houseboat accommodation, Floating Houses. They allow you to enjoy the great Alqueva Lake in a different form during a few days. Houseboats include everything you need to feel comfortable, just like home. They also have areas to sunbathe and fish. All the boats are sure to provide a safe navigation. And you don’t even need to have a license or experience. Visitors can navigate the cleared areas of the lake and easily dock in the shore villages or other places to go for a walk or bike ride. This is probably the best way to enjoy the whole touristic potencial of Alqueva Dam. Imagine yourself on a cruise! The other possibility to feel close to the natural force that these waters represent is to go on a boat ride, lasting one hour to one and a half day. If you only want to sit, see those who embark, the ones disembarking or simply look at the waters and the lands around, you can do so from the bar terrace. 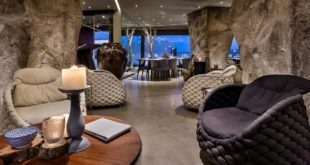 Unless you prefer a full meal in the panoramic restaurant. However, the Dark Sky activities are the ones that really stand out. Did you know that Alqueva was the first place in the world which received the “Starlight Tourism Destination Certification” (December 2011) by the Starlight Foundation? Few places in the world have such a spectacular sky to observe. No light pollution allow for night-time moments of awe and learning. Do not miss the chance! 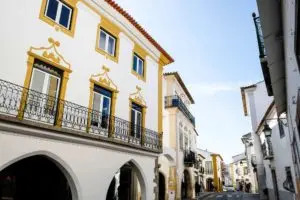 Finally, since you are already in Amieira, visit Igreja de Nossa Senhora das Neves da Amieira (church), Monumento ao Forcado (Bullfighter’s monument) and the bullfight arena. Aldeia de Alqueva (Alqueva Village) gave its name to the great lake created by Man and imagined more than 50 years ago. For many in Portugal, it has become a myth. For others, a reality. Alqueva parish is rich in monuments and archeological remains: Igreja Matriz de São Lourenço (church), Capela de Santo António (chapel), marco da Pena Ventosa (pilar), megalithic tombs remains, the geodesic landmark,… Other points of interest are the Museu do Medronho (Arbutus Museum) and the monument honouring the local population. 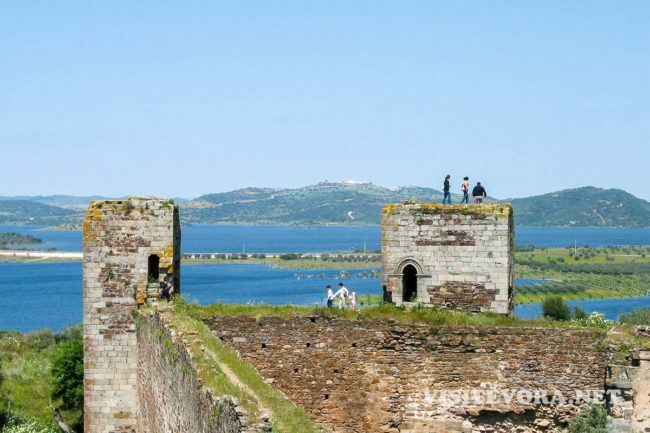 The places that the most curious observers choose are Outeiro dos Castelos (Castles Hill), the area where the dam was built and the leisure area. For obvious reasons. The small villages of Capelins, Juromenha, Granja, Marmelar, Mina da Orada, Monte do Trigo, Pedrógão, Póvoa de S. Miguel and Telheiro can also be visited in Alqueva Lake. All of them have their own characteristics and charms. And all of them have something in common: they are on the largest artificial lake in Europe: Alqueva Lake. We can say that Alentejo is a world inside a bigger world, which is Portugal. So, Alqueva Dam is a world inside the world which is Alentejo. One that is worth exploring. For its natural beauty, quietness and magnitude. But also for the additional activities created by its inhabitants. 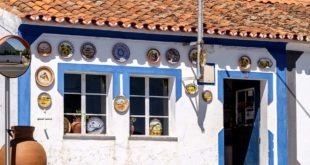 When you come to Alentejo, enjoy the food, the simplicity of the people in each of the villages. Most of all, have a good time in this blue and green world of Alqueva Dam and the surounding landscape. Monsaraz, the graceful medieval village of Monsaraz, maintains the magic from ancient times like few others in the world. Made of lime and schist, this place whispers us, between the echo of our footsteps in its streets. A lot of magnificent stories could be told about its courageous kings, Knights Templar, brave people and dames of simple beauty. 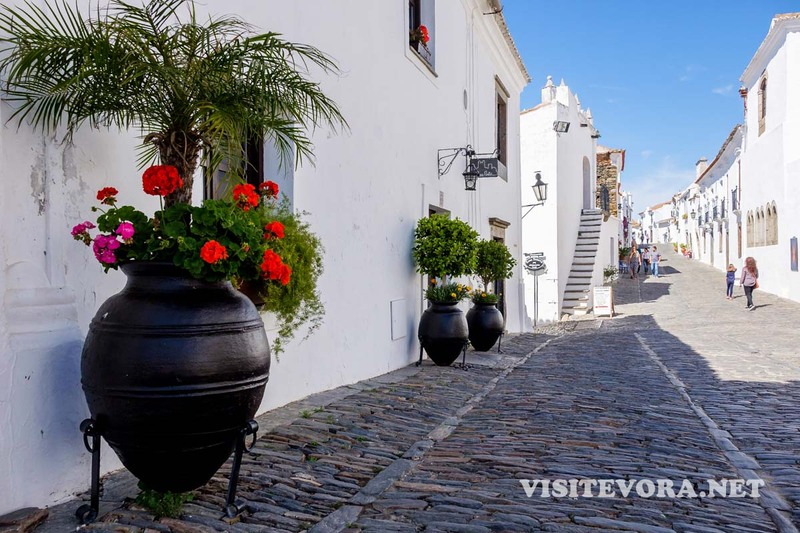 Suspended in time, the historic village, one of the oldest in Portugal, is a mandatory destination to add to your list of places to visit in Alentejo. 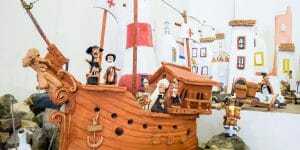 Especially after, in 2017, it won the category “Monument Villages” in the competition 7 Maravilhas de Portugal – Aldeias (7 wonders of Portugal – Villages). Monsaraz shows signs of having been a fortified settlement during prehistoric times. 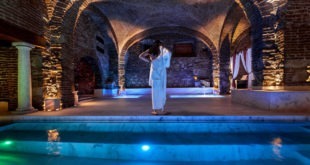 It has always had strong military and religious influences, impeccably preserving time until these days. The privileged location of this small village, located on the top of the hill and then with a view over the river Guadiana and the frontier with Spain, made it highly coveted by the peoples which disputed it. Once called Saris or Sarish, Monsaraz was taken from the Muslims by Geraldo Sem Pavor (Fearless Geraldo), in 1167, in a military incursion departing from Evora. After a later defeat which occurred in Badajoz, Spain, King Afonso Henriques again lost control of Monsaraz to the Moors. However, in 1232, King Sancho II recovered it once and for all. With the help and support of the Templars, to whom he finally donates the beautiful Alentejo village. The marks left by the Templar Order, later Order of Christ, still live among the castle walls. 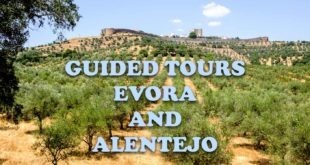 Today, Monsaraz is a museum village of Alentejo. But until mid-nineteenth century it was the head of the municipality. After that time, Reguengos de Monsaraz took that role. The whole municipality of Reguengos de Monsaraz grew through the centuries following modernity. But Monsaraz turned its back on time and stayed where it wanted to be, a maiden – timelessly magnificent. Notice the walls that go around Monsaraz guard a welcoming village. The light caresses the picturesque and traditional homes of the hospitable people of this land. 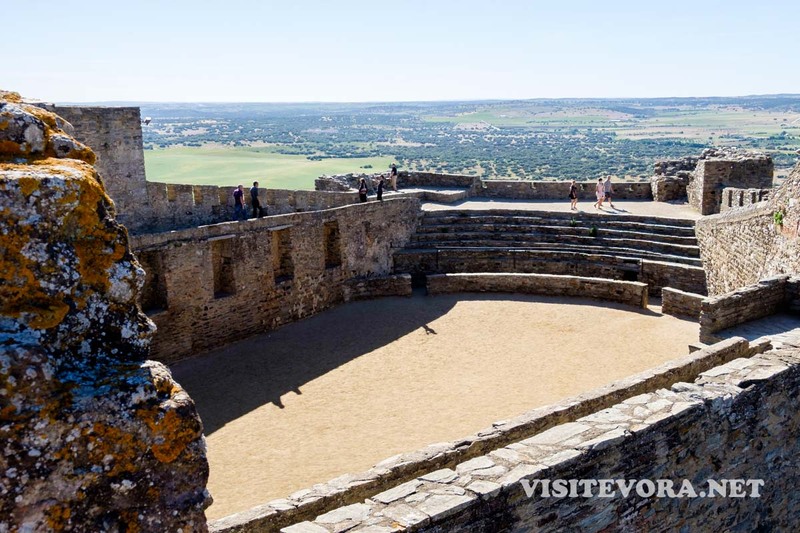 Finding Monsaraz is traveling through time and enjoying history in the present. 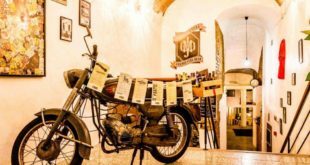 And there is so much to see and feel in this charming Time Machine, right in the heart of Alentejo! Since its streets are ancestral, Monsaraz offers some spacious parking lots near its walls. This way, its guests can visit it properly: on foot and unconcernedly. Appreciate the impressive wall of this museum village in Alentejo, built during the Wars of Succession and Restoration. For its construction, there were plans to also build São Bento Fort (originally star-shaped), the Bastions of São João and of Castelo (castle) and the São Bento Hermitage. 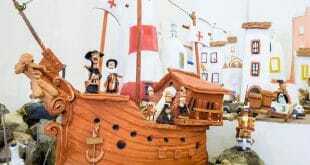 There were also plans for three towers: in the Marmelão of São Gens, Pipas farmstead and Ceuta farmstead. Monsaraz wall has four big doors where you can enter the village. The main one, Porta da Vila (Village Door), is protected by two semicylindrical towers. Above its gothic arch, it has a memorial stone dedicated to the Immaculate Conception put there by King João IV in 1646. The Porta d’Évora (Evora Door), on the North side of the wall, also with a gothic arch, is protected by a cubic turret. As for the other doors, d’Alcoba and Buraco, they have a full arch. 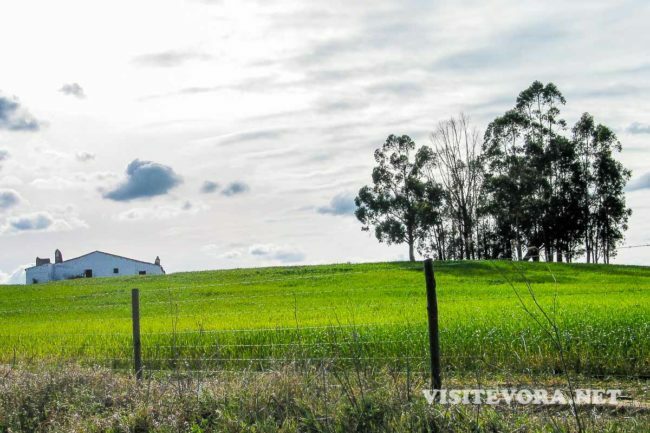 When you turn your back to the entrances, the views over the Alentejo green and brown fields is… superb. Go along the wall until you reach Monsaraz Castle. Built by King Dinis, in the 14th century, it is classified as a National Monument of Portugal. 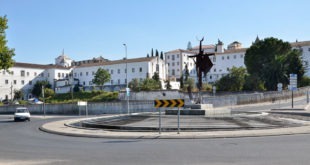 Around 1830, and after its military functions stopped, the old Praça de Armas (formation ground) of the castle started to be used as some sort of bullfighting ring. Today, it serves this purpose mainly during the anual festivities in honour of Nosso Senhor Jesus dos Passos (our Lord Jesus Christ). Monsaraz Castle is a unique touristic spot in Portugal. It is one of the most splendid places to look at the wonderful Alqueva Dam. This is the largest artificial lake in Europe and one of the greatest Portuguese constructions of the century. 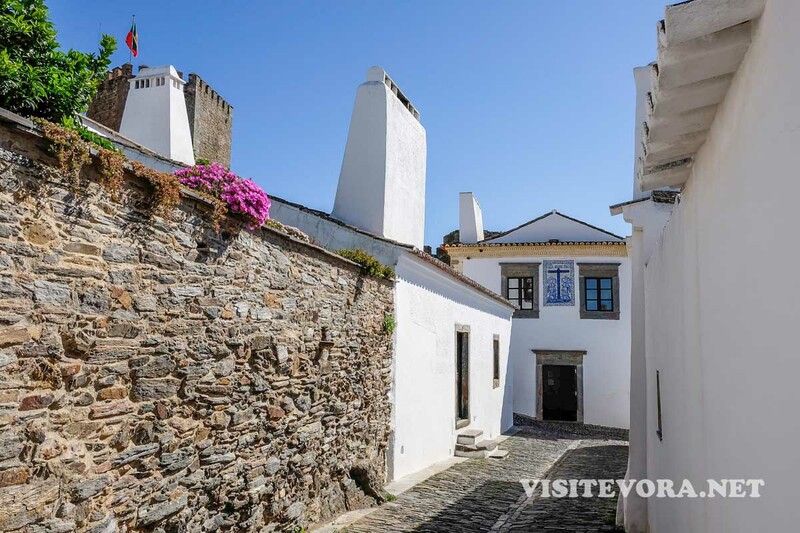 No wonder Monsaraz was elected the most beautiful Monument Village in the country in 2017, as part of the awards “7 Wonders of Portugal – Villages”. Slowly walk towards the village centre. At Largo D. Nuno Álvares Pereira (square), enter the stunning Igreja Matriz de Nossa Senhora da Lagoa (church). This religious monument was built with schist in the 16th century on the ruins of a gothic church, destroyed due to the black plague. Constructed in the Renaissance style, it has a beautiful pediment, decorated by a tile panel and an Order of Christ Cross. In the interior, carefully study the tomb of Gomes Martins Silvestre, a Knight Templar, first Alcaide (Mayor) of Monsaraz. This tomb is made of marble from Estremoz. It has seventeen sculpted figures on the front representing a funeral procession. Another landmark here, right in front of the main church, is the Pelourinho from the 18th century, erected after the 1755 earthquake destroyed its predecessor. It was also made of white marble from Estremoz and represented the jurisdiction and autonomy of Monsaraz. At Largo D. Nuno Álvares, also take the opportunity to enjoy the architectural and historical riches of the buildings which surround you. 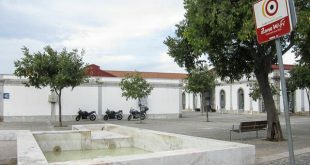 The main ones are Casa Monsaraz (House Monsaraz), late 17th century, bearing the village coat of arms; Hospital do Espírito Santo and Casa da Misericórdia, which encompass Igreja da Misericórdia (church). This last religious construction, 16th century, has a sober and simple architecture. It has an image of Senhor Jesus dos Passos, the village patron saint. 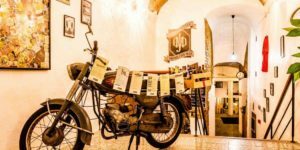 In Travessa da Cadeia you will find the Antigos Paços da Audiência, for centuries working as administrative headquarter and court in Monsaraz. When the management of the municipality changed to Reguengos this building became the primary school. Later on, the tourist office. Go in and see the medieval fresco O Bom e o Mau Juiz (The Good and the Bad Judge). The Bad Judge receives payments from both the rich and the poor (money and partridges, respectively). But the Good Judge only gets the blessing from the angels that guard him. The satire to the corruption of the justice of the time is the most usual interpretation of the fresco. However, it can also just be a document representing the struggle of the municipalities to have their own judges, elected among peers, instead of foreign ones, nominated by the Crown. Feel the sun setting. 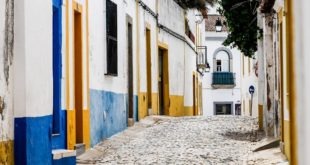 Under its pinkish light reflected on the white facades of the houses in Monsaraz, take a random walk through the streets and alleys of the village. Contemplate the Capela de São José (chapel), where prisoners received divine trades. 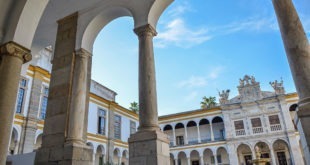 Take a look at Casa da Inquisição (House of Inquisition); Casa do Juiz de Fora, donated to Evora University; the recently restored Igreja de Santiago (church). Go to the old Cistern, probably a mosque originally. Do not miss the opportunity to visit Capela de São João Batista (chapel). It is also known as Cuba, due to its curious cubic form of Moorish influence. 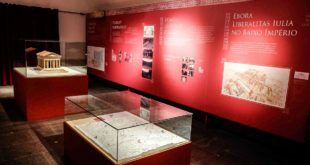 Discover the Ermidas de São Bento, São Lázaro, Santa Catarina and São Sebastião (shrines). All different, all so special. Now the night is covering you with its cozy blanket of stars. Sit down at one of the restaurants in Monsaraz. Taste the best traditional Alentejo food, like the crumbs or the lamb. As for Alentejo wine, savour a good Reserva Monsaraz with your meal. The view over Alqueva Lake completes the sensory nirvana. Don’t finish your night without admiring the show of constellations and planets, which shine more intensely on the sky. But there is more than the above mentioned archeological and architectural heritage to get to know in Monsaraz. In the nearby parishes, there is much more to visit. Megalithic monuments dedicated to unknown gods, Museu do Azeite (Olive Oil Museum), Casa do Cante Alentejano (House of Alentejo Singing). Going for several sports activities on Alqueva lake is absolutely essential to the most adventurous. 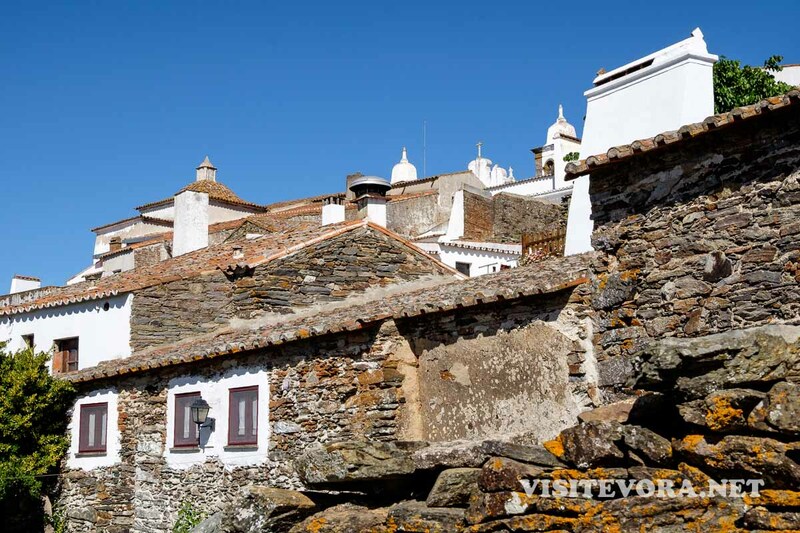 No matter what your choice may be, Monsaraz is a must for everyone visiting Alentejo. 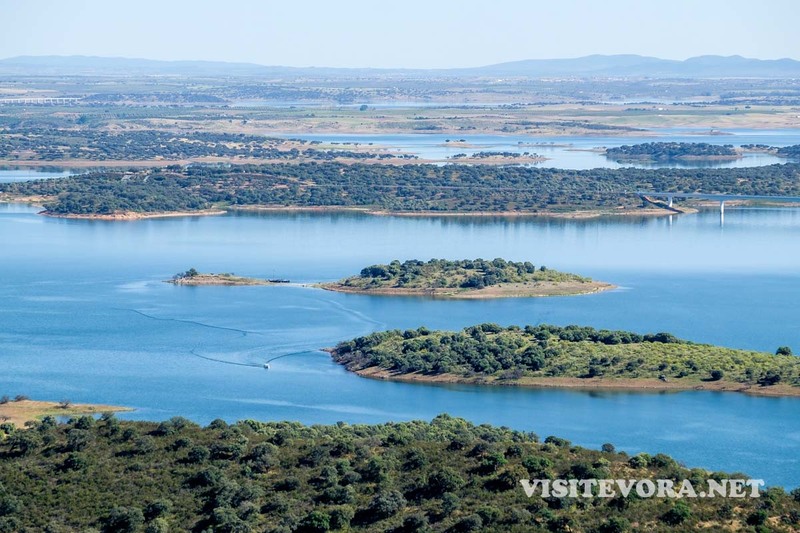 If you have no time to see the entire Alqueva Lake, join us in one of our Monsaraz Tours, where history meets an incredible view. 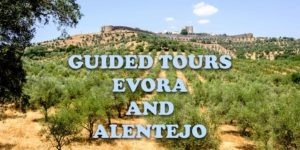 We also have several multi-day tours which include a visit to Monsaraz or even sleeping there. Perfect for travellers who value really getting to know the places they visit.